Home / The Buzz / A Year on, how does Rufus rate Guru? A Year on, how does Rufus rate Guru? 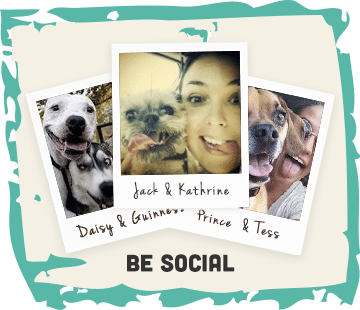 Can you believe it’s almost a year since I made the transition for Rufus’ dog food? 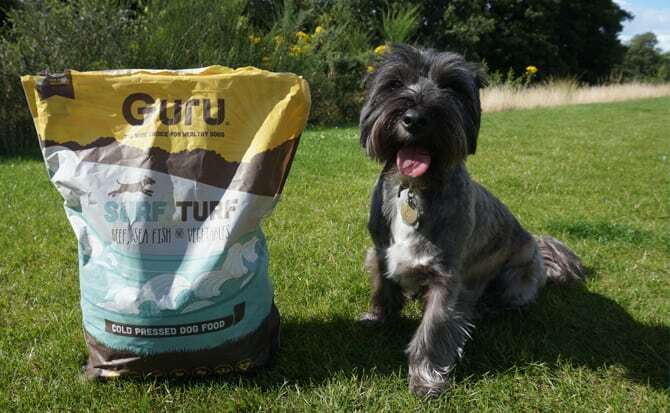 Rufus has been on Guru Pet Food for a little over a year now. I thought we’d write a little update to let you know how we are getting on and why we’re still championing this cold pressed food. 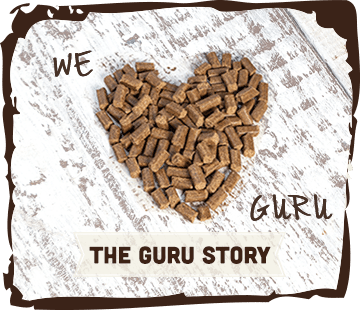 We receive a lot of dog food samples through the blog and Rufus has been lucky enough to try lots of different dog foods. When we first bought Rufus home, I kept him on his well known brand of kibble, with the attitude he was eating it and that was the main thing. I genuinely thought it was a healthy dog food because of how well known it was. Sometimes, he’d leave his dinner but I was under the impression it filled a hole for him but it was never going to live up to his tuna obsession. He digested it fine, it was affordable and we couldn’t really complain. Since moving to Guru, Rufus adores dinner and breakfast time. 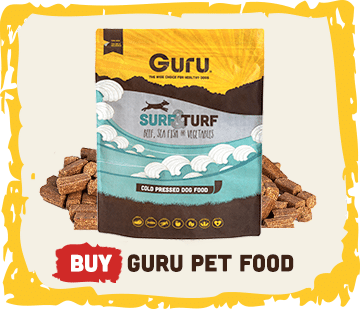 He’s a very food orientated little soul but nothing quite wets his appetite like Guru does. As soon as we’ve put our knife and fork down from our dinner, Rufus stalks out my fiance waiting for Guru; tip tapping across the house waiting for his food to be filled full of delicious Guru. He’s never ever left any of the pellets in his bowl since moving over. Not only does Rufus love Guru; I’ve seen the added health benefits. Rufus is definitely more chilled out, his coat is a lot shinier and he’s maintained his healthy 10kg weight. I was worried when we first moved onto Guru that he’d loose weight as it seems you’re giving your dog a lot less food but our annual vet visit confirmed he’s spot on for his terrier breed. As well as the happy dog, it helps wonders with my bank account with a 5kg bag usually lasting us 6 weeks! It’s a lot cheaper than our old brand and I’m happy I’m feeding him a well balanced and happy diet. Rufus and I are also a huge fan of their field trip bones. They are the on the go meal equivalents in a bone form, which are great whilst we’re out and about. Sometimes, when our cheeky Friday afternoon beer turns into a Friday night session it’s great to know Rufus will still be having his meal as I always have one of these in my bag to hand! We’re also super lucky that Guru put a cheeky field trip bone in our Guru parcels every now and again. Finally, and this is one point I cannot go without mentioning, one of the biggest things I love about Guru is that they are one of the friendliest companies I have ever worked with. It’s lovely knowing that our dog food is coming from a small company and the customer service they give is second to none. 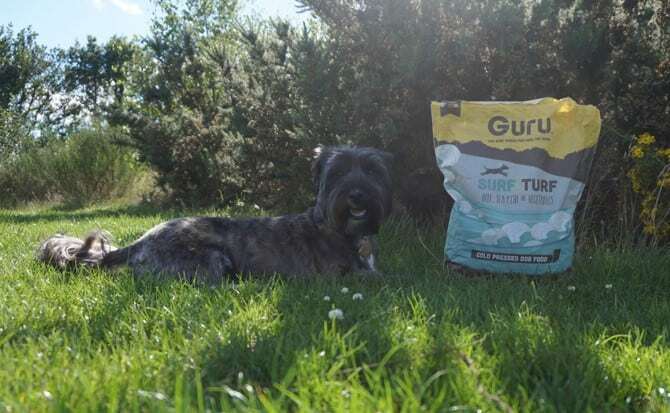 Apart from my Mum and Dad, sometimes I feel Guru are our biggest cheerleaders supporting the little blog and always being on hand with next day delivery when I forget to order it (oops!). 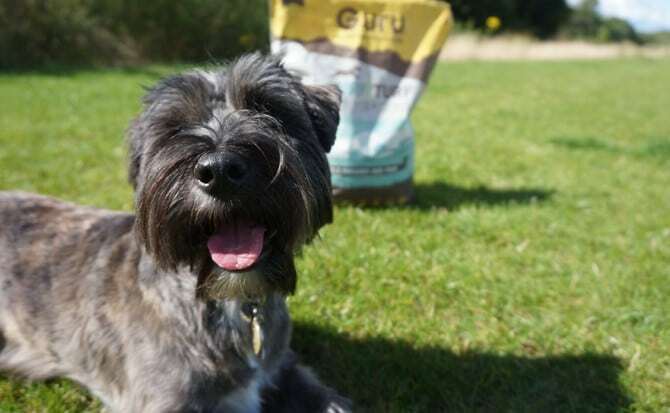 When we attended Dog Fest South, we were lucky enough to meet Lisa from Guru Pet Food who adored little Rufus and was extremely friendly and welcoming of us. It honestly goes a long, long way. Will we be sticking with Guru? Absolutely. It’s friendly on my bank account, if I ever took Rufus to their head office in Wigan he probably wouldn’t come home, and it’s healthy for my little dog.